Angie Farrag leads BSR’s Transport & Logistics practice, working with companies and stakeholders across the value chain to advance the integration of sustainability into the global logistic supply chain. In addition to sustainability strategy and reporting work within the sector, Farrag steers two key industry platforms: BSR’s Clean Cargo Working Group (CCWG) and the Maritime Anti-Corruption Network. Her other focus areas include working with the energy and extractives sector; in particular, she is the project manager for the development of Bettercoal, an initiative that improves the ethical, social, and environmental performance of the global coal supply chain. 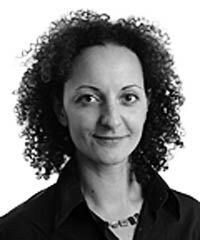 Previously, Farrag worked at Deloitte & Touche LLP and Andersen in London.